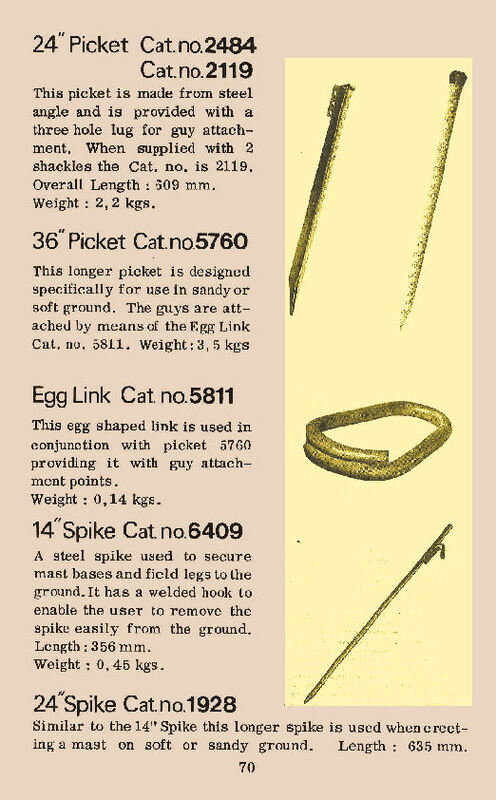 Illustrated on this web page, for historical purposes, are a range of Guying Accessory pages from Clark Masts late 1960's - early 1970's catalogue. 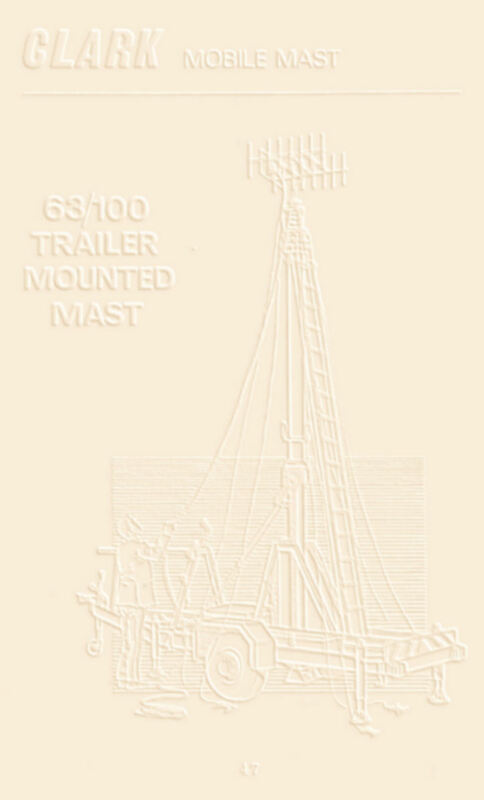 Clark Masts produced a range of mast Guying Accessories for their late 1960's early 1970's pneumatic masts. 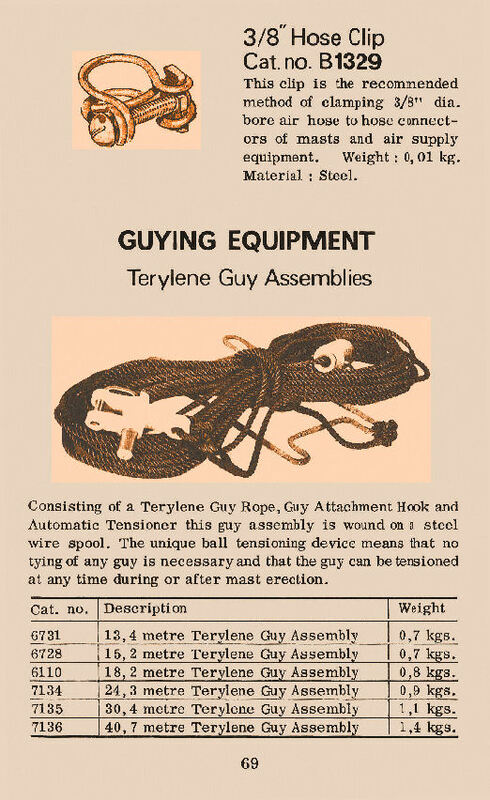 Included were such items as Guy Assemblies with 'Quick' terminators and 'Quick' tensioners as well as Guy Pickets and hammer. 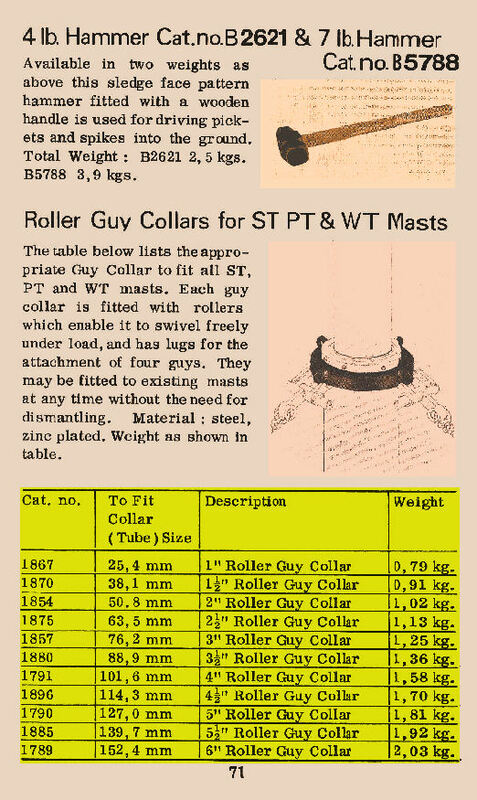 Clark Masts also manufactured optional Roller Guy Collars which would allow a guyed mast to be rotated. A range of Roller Guy Collars was available to suit mast tube diameters from 25.4 mm (1") through to 152.4 mm(6").